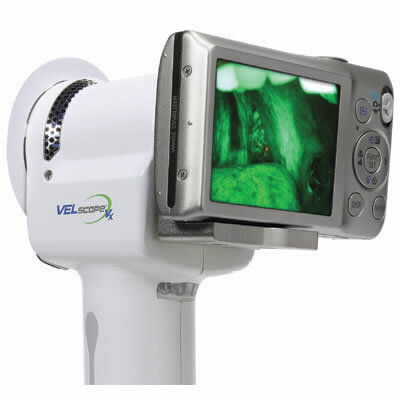 VELscope Vx | Led Dental Inc.
VELscope Vx provides dentists and hygienists with an adjunctive mucosal examination system for the early detection of a wide variety of oral diseases, including pre-cancer and cancer. VELscope Vx technology is effective and minimally invasive, and it can be seamlessly implemented into a patient's routine dental check-ups. 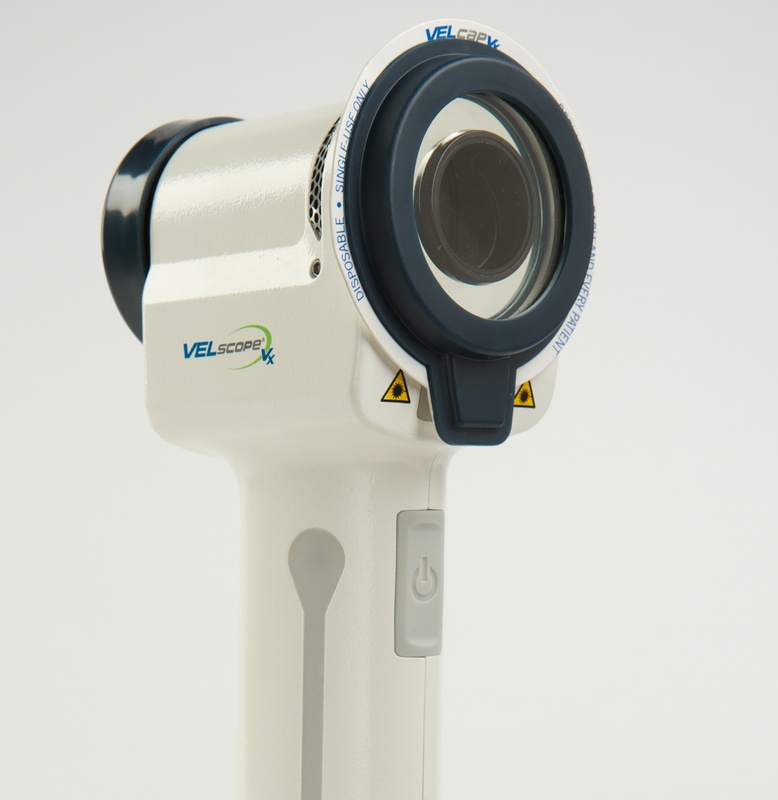 Used in conjunction with the conventional intraoral and extraoral head and neck exam, the VELscope Vx facilitates the discovery of mucosal abnormalities before they become visible under ordinary light. VELscope Vx's distinctive, safe, blue-spectrum light causes the soft tissues of the mouth to naturally fluoresce. The VELscope's proprietary filter makes fluorescence visualization possible by blocking reflected blue light and enhancing the contrast between normal and abnormal tissue. Healthy tissues fluoresce in distinctive patterns that are visibly disrupted by trauma or disease. Using the VELscope Vx, a wide variety of oral abnormalities can be discovered, often before they are visible to the unassisted eye. The exam is easy, comfortable for the patient (with no rinses or stains), and can be completed in less than 2 minutes.